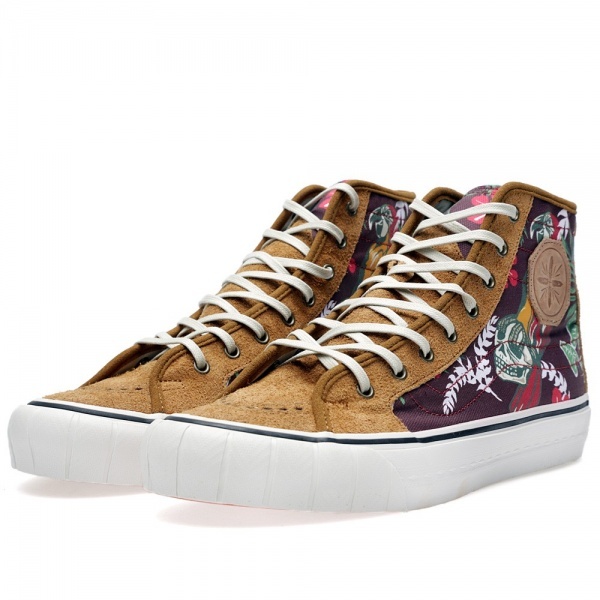 The collaboration between Vans Vault and Japanese designer Taka Hayashi has produced some truly individual and forward thinking designs that stand apart from the storied history of the worlds most popular skate brand. 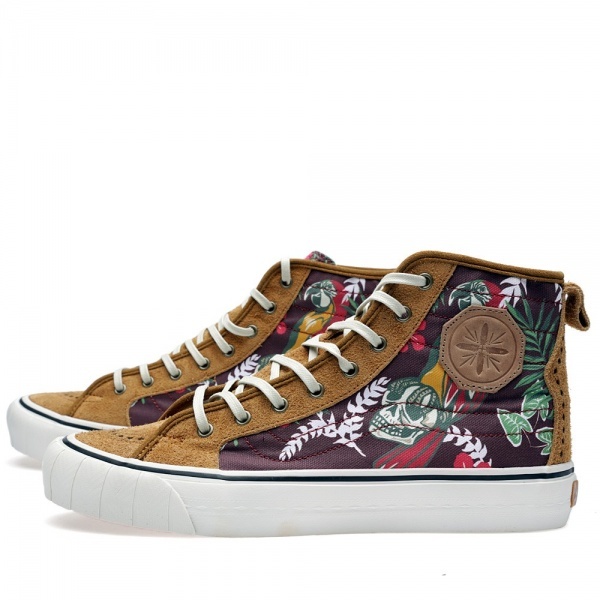 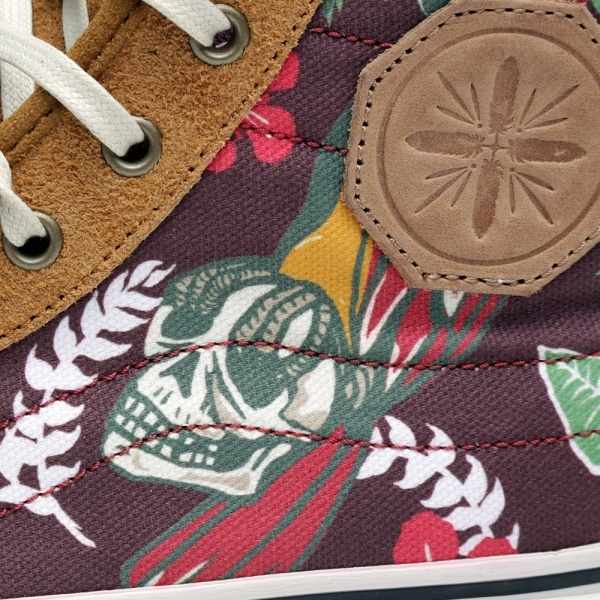 The TH Court Hi LX Paradise takes influence from a number of Vans’ most successful styles, constructed from plush suede, it features graphic print canvas side panels and stitched details. 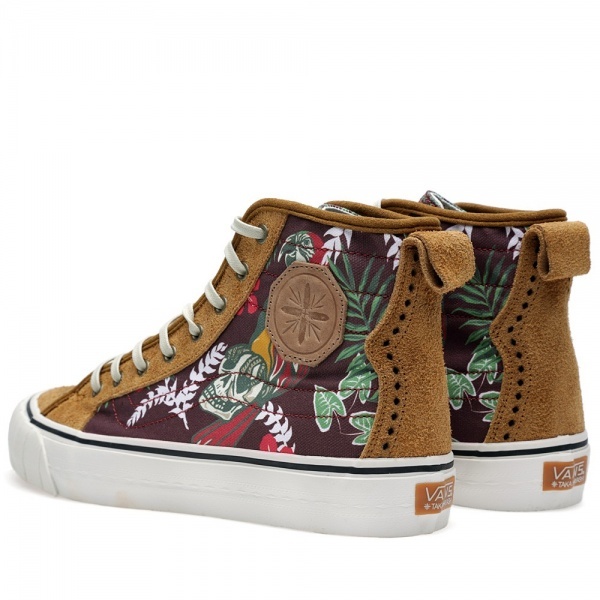 A distinctive and forward thinking design, the Court Hi LX is an example of the way in which Mr, Hayashi see’s Vans celebrated silhouettes as his palate for innovation and experimentation.